Antler Realty is a premier real estate company that offers our clients an innovative and effective approach to purchasing and selling property in the High Country of North Carolina. Beech Mountain is one of the most picturesque places in the Southeast, and our expert real estate agents are ready to help you find a home or condo that looks like it just came out of a postcard. If you are ready to make the sweeping vistas of the Blue Ridge Parkway your new home, let the real estate team at Antler Realty show you some of the high quality and affordable Beech Mountain Condos for sale! Make your everyday a vacation with Antler Realty. When it comes to efficiency, affordability and convenience, nothing can beat living in a condominium in the High Country. Purchasing one of the Beech Mountain condos for sale is a smart financial investment that comes with several lifestyle perks. Living in a condominium allows you to spend more time doing the activities and hobbies that you love and less time worrying about maintaining a property. Due to high elevation, Beech Mountain can receive a significant amount of snow every winter. Many condominium developments in the High Country come with lawn maintenance and snow removal. That way, you can enjoy the snow covered mountains with a warm mug of hot chocolate instead of bundling up to scrape your driveway. Condominiums also facilitate a sense of community among neighbors, and several developments will provide residence with shared space for community events. 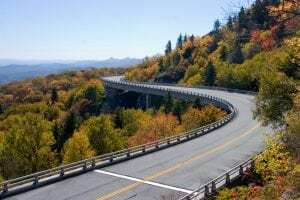 Beech Mountain and the Blue Ridge Parkway are wonderful retirement areas. Antler Realty has several Beech Mountain condos for sale that would be perfect for the retired couple looking to enjoy some peace and quiet in a beautiful mountain town. The condos in the High Country are often large enough to host family members and friends, who will be quick to visit so they can enjoy the numerous outdoor and cultural activities of the Blue Ridge Mountains. The experts at Antler Realty are the perfect team of real estate agents to help you find a condo that meets your needs, and falls comfortably within your budget. Our agents are committed to providing clients with excellent service and will work tirelessly to find you a beautiful property among the Beech Mountain condos for sale. Contact Antler Realty today to get started.